The release date for the PlayStation Vita in Japan has been finally confirmed by Sony. It will be released on December 17th in Japan. The release date for Europe and America has not been confirmed yet. 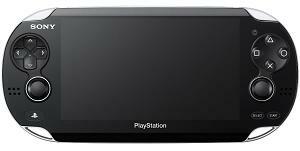 Retail price for PlayStation Vita standard Wi-Fi model will be ¥24,980 and for 3D model ¥29,980 (£248). Pre-orders will start in mid-October. Finally there is progress on this. They are getting really late, should have launched Vita months ago. Looking forward to pre-ordering it.